In case you want to, it is possible to prevent the Camera from being accessed from the Lock Screen of your iPhone. 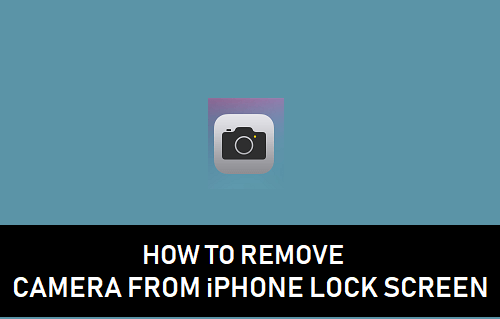 You will find below the steps to Remove Camera From iPhone Lock Screen. All that is required to access the Camera on your iPhone is to swipe on the Lock Screen and the Camera on your iPhone will be ready to shoot Photos and Videos. As you will agree, the convenient setup is a lot better than having to unlock the iPhone and open the Camera App. However, there are times when you may want to disable such easy access to the Camera on your iPhone. At such times, you can temporarily remove the Camera App, both from the Lock Screen and also from the Home Screen of your iPhone. 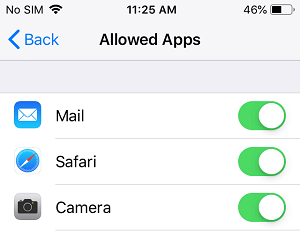 Follow the steps below to Remove Access to the Camera App from the Lock Screen of your iPhone or iPad. 1. 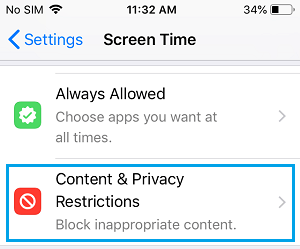 Open Settings > tap on Screen Time. 2. 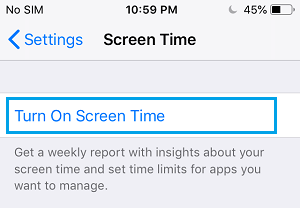 On the next screen, tap on Turn On Screen Time. 3. Next, tap on Continue > This is My iPhone. 4. On the next screen, scroll down and tap on Content & Privacy Restrictions. 4. 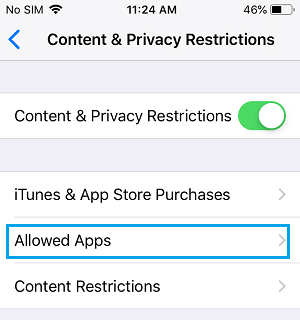 On Content & Privacy Restrictions screen, toggle ON Content & Privacy Restrictions and tap on Allowed Apps. 5. On the Allowed Apps Screen, toggle OFF Camera App. Now, if you go back to the Home Screen, you will no longer see the Camera App on your iPhone. Also, you won’t be able to access the Camera App by swiping on the Lock Screen of your iPhone. The Camera App will remain hidden on your iPhone, until you enable it back by going to the Content & Privacy Restrictions on your iPhone. 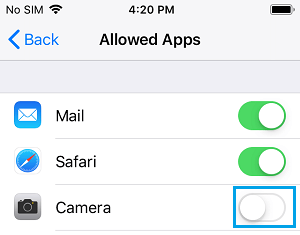 Once the purpose of removing access to Camera from iPhone Lock Screen is served, you can bring the Camera App back on the Lock Screen by following the steps below. 1. 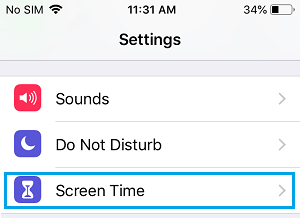 Open Settings > scroll down and tap on Screen Time. 2. Next, scroll down and tap on Content & Privacy Restrictions. 3. On the next screen, tap on Allowed Apps. 4. On the next screen, toggle ON the Camera option by moving the slider to ON position. This will bring the Camera App back to its usual location on the Lock Screen and the Home Screen of your iPhone.